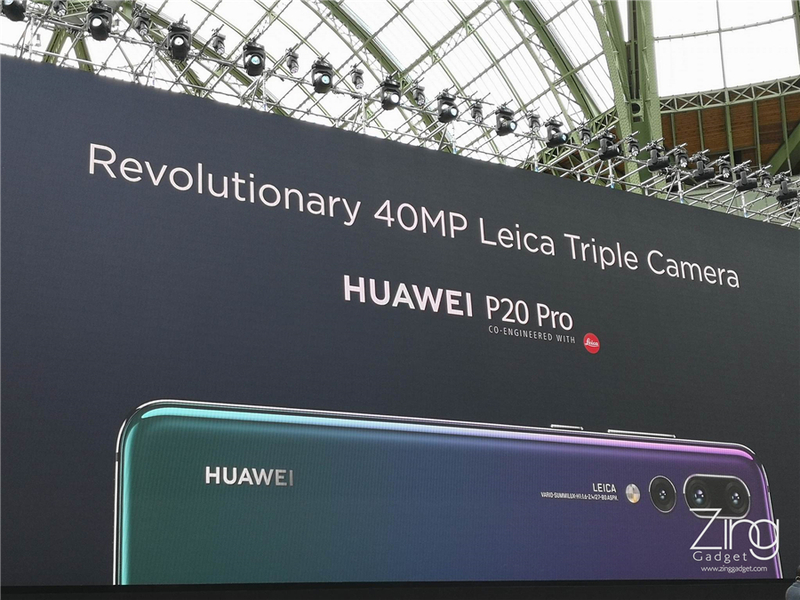 World first LEICA Tri-Camera Huawei P20 series launched! 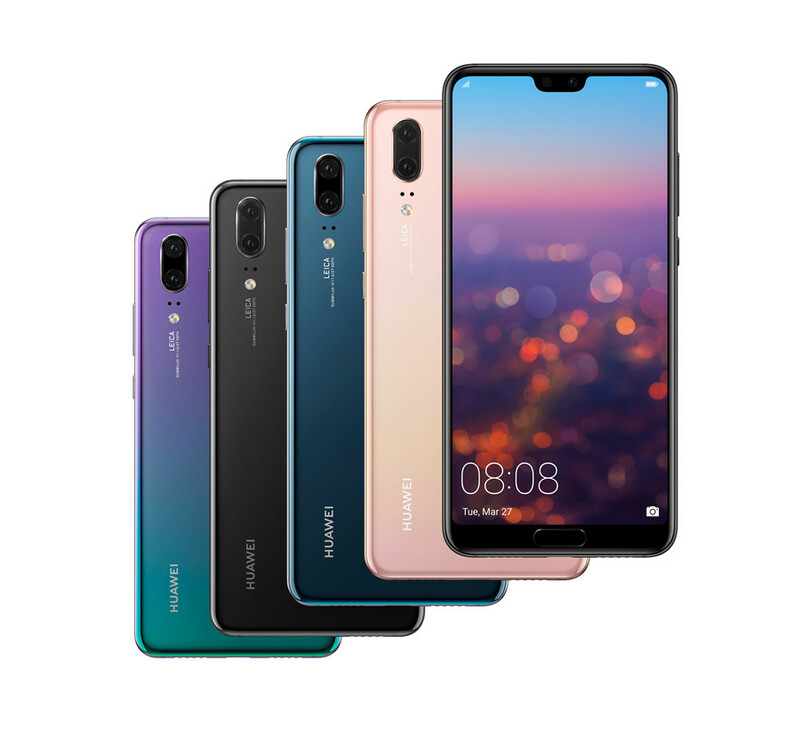 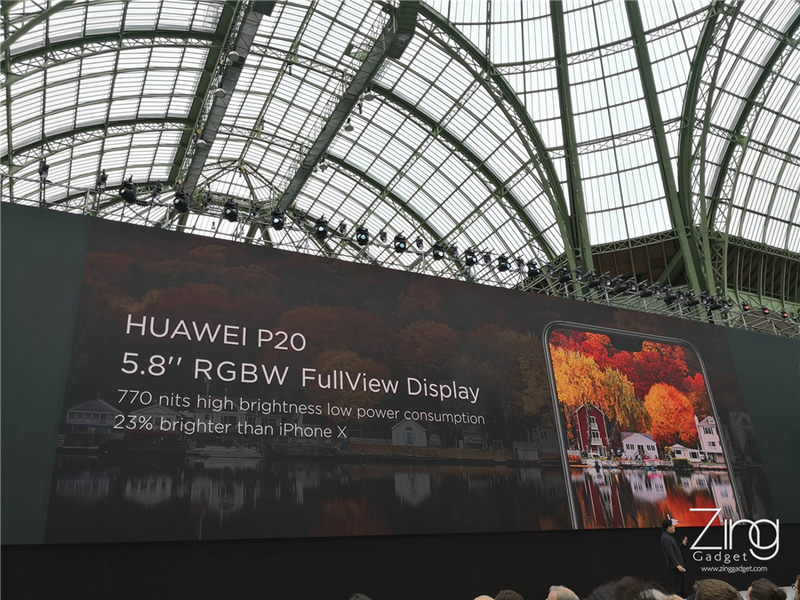 Despite being a month late for its launch according to their previous launch history, Huawei has finally unveiled the new Huawei P20 series which includes the Huawei P20 Pro along with other gadgets, the Huawei Mate RS PORSCHE DESIGN at Paris, France early this midnight. 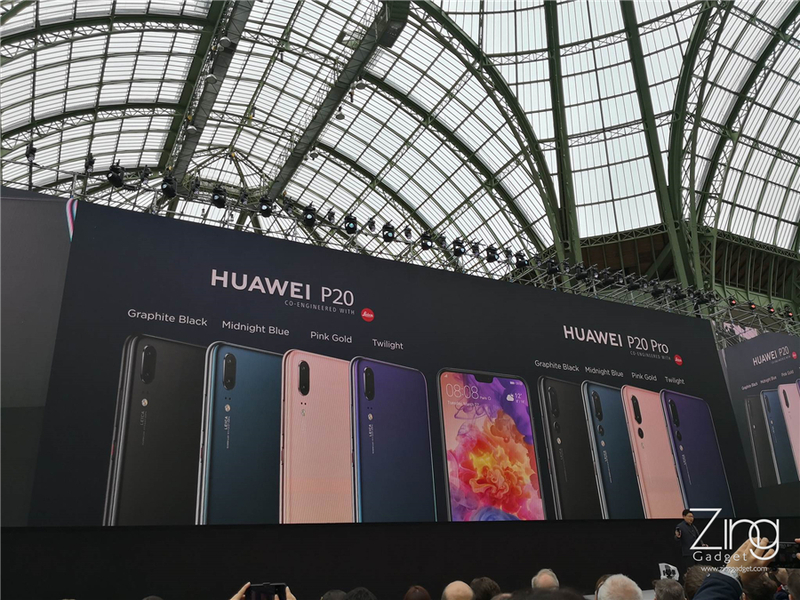 The Huawei P20 is the first in the world that brings LEICA Tri-camera in action and comes in a variety of unique fading colours. 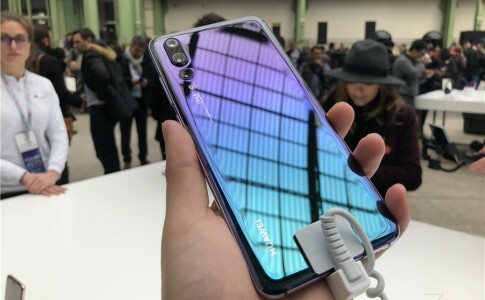 Let’s have a look on how impressive the P20 is. 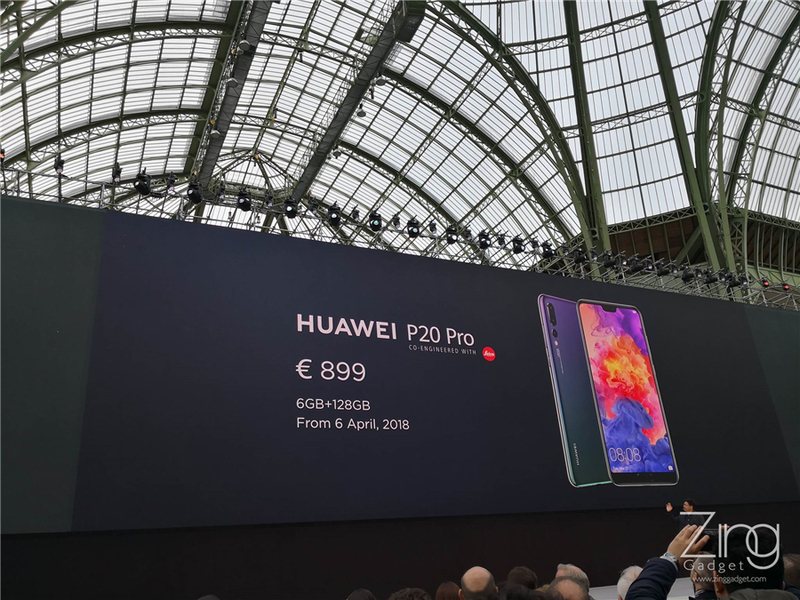 The new P10 successor is no longer named as P11 but instead stepped up in the game with a new name as P20. 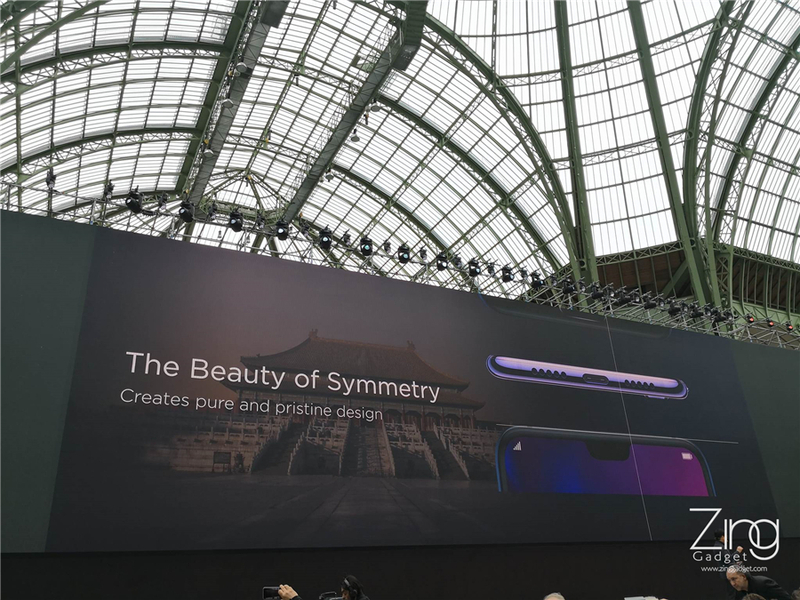 It comes with a new symmetrical design along with curved edge and metallic frame that carries out its luxury build and design. 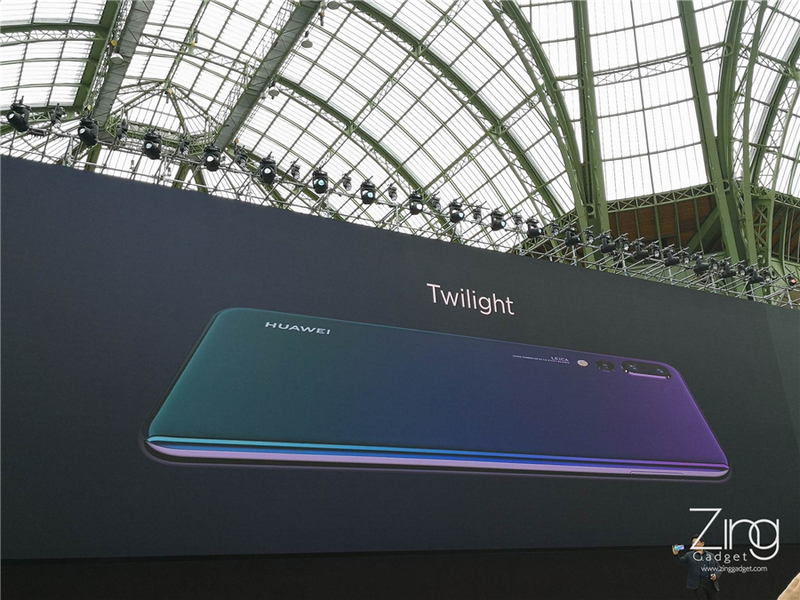 While standard colours is getting more and more popular, Huawei has added new fading colour known as Twilight, with purple that slowly fades into blue with different levels of light refraction. 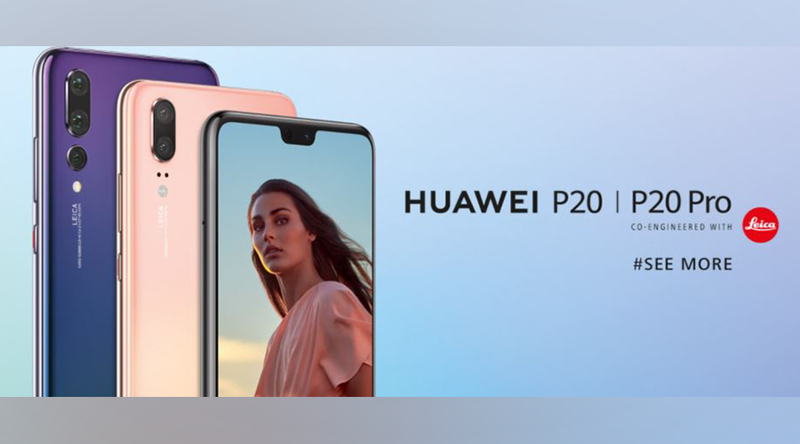 It brings out the beauty from the P20 series. 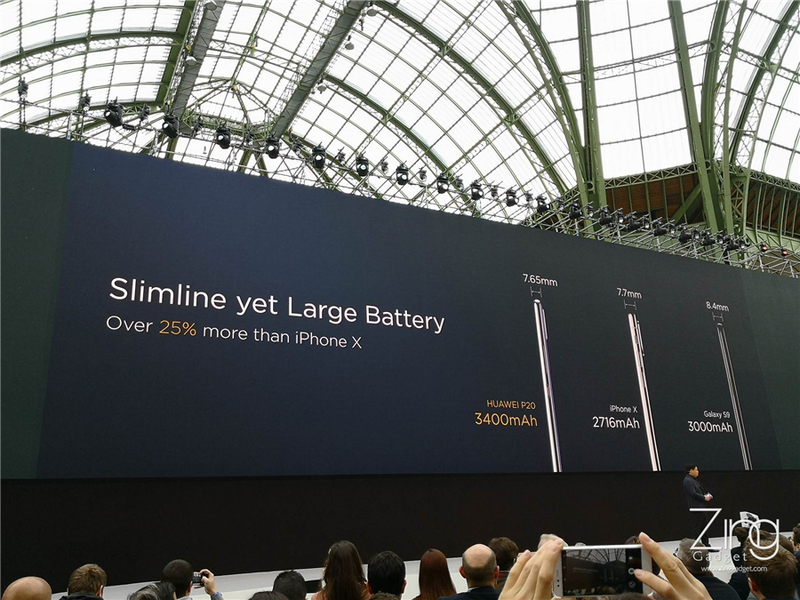 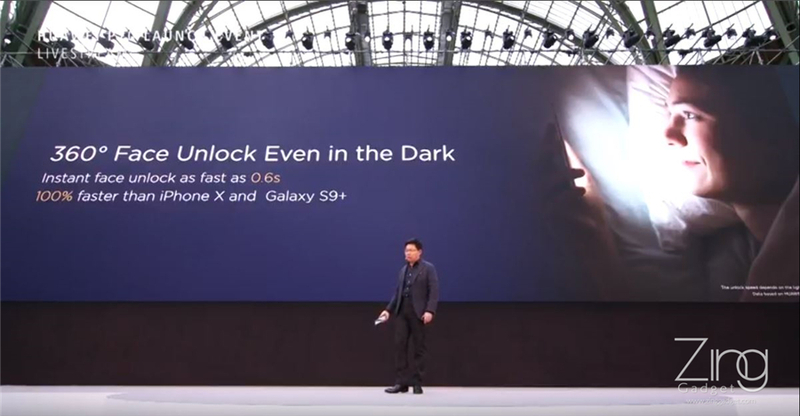 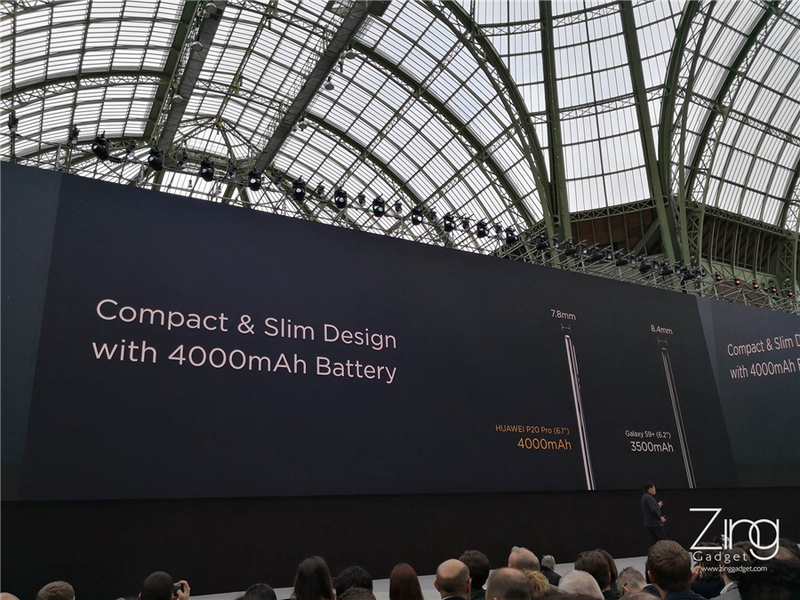 In the other hand, the Huawei P20 and P20 Plus managed to slot in a 3400mAh battery and a 4000mAh battery respectively with a dimension not thicker than 7.8mm. 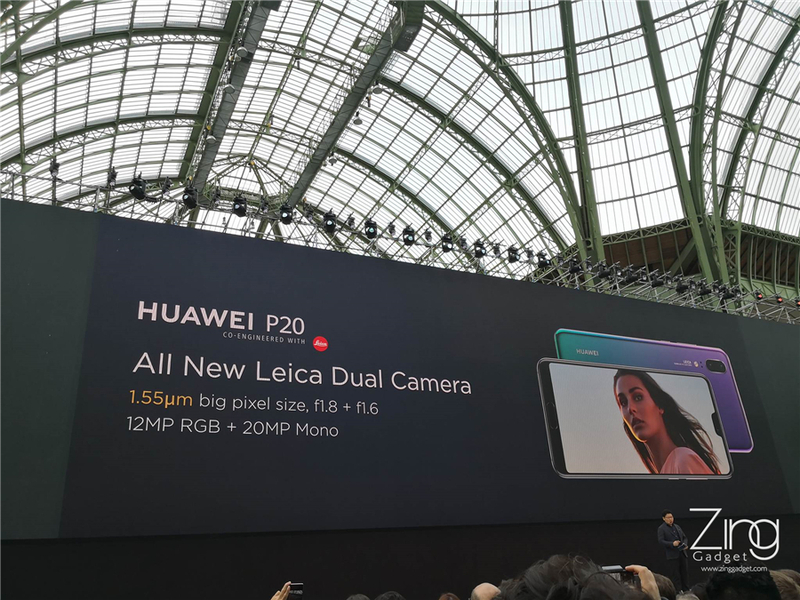 Along their collaboration with LEICA, the Huawei P20 brings the new 12MP + 20MP camera with colour and monochrome lens for the creation of immaculate photograhy. 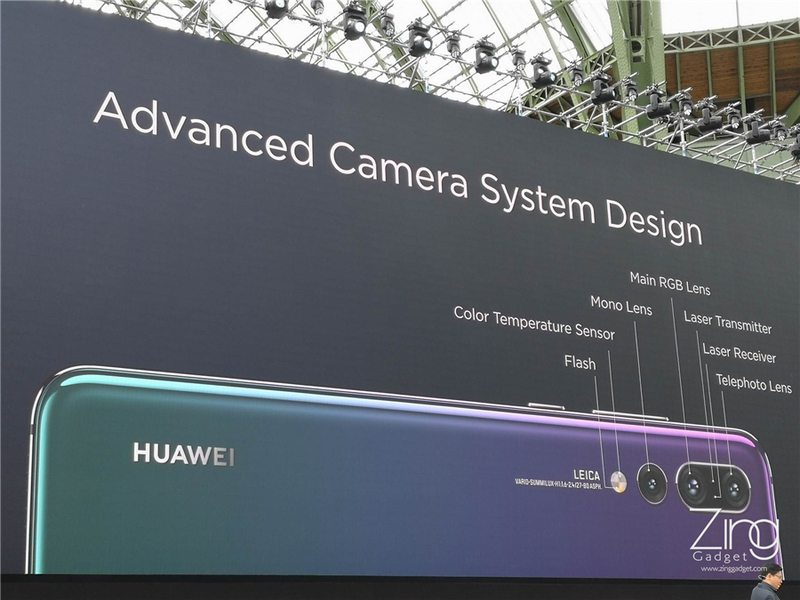 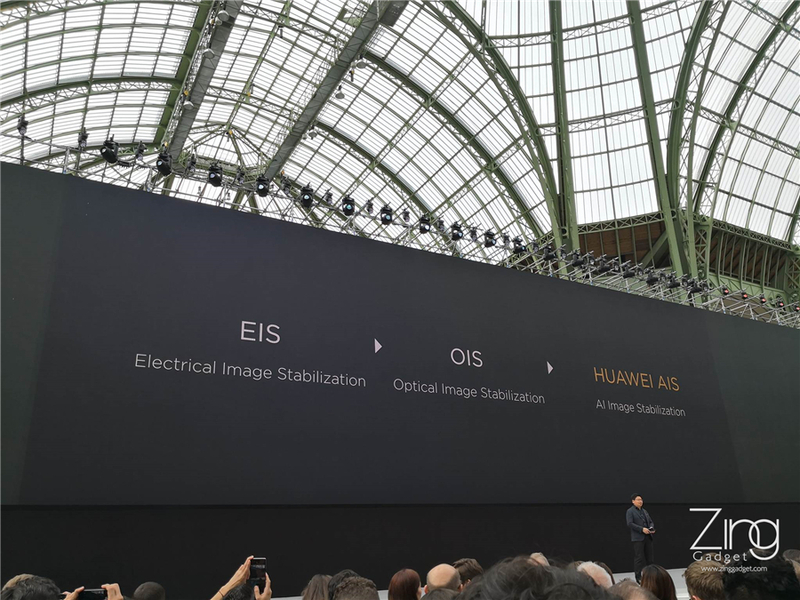 Apart from the camera hardware upgrade, Huawei also introduces the first of the kind Artificial Intelligence Stabilization that provides 6 axis stabilization along with 4 in 1 hybrid shot. 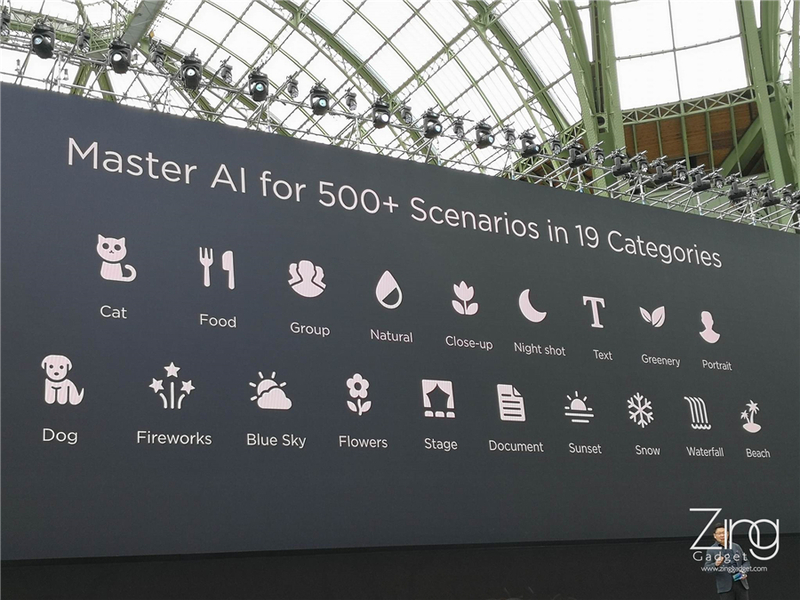 The AI core detects can shoot in 19 modes and recognizes up to 500 different scenario for the best mode selection. 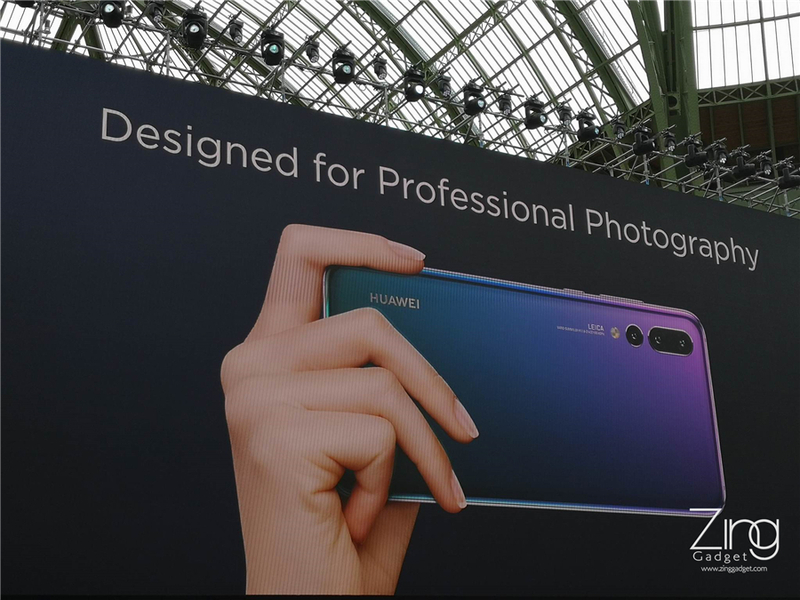 As for the Huawei P20 Pro, it brings the world first LEICA certified tri camera which includes a 40MP RGB lens, a 20MP monochrome lens and a 8MP VARIO- SUMMILUX-H 1:1.6-2.4/27-80ASPH telephoto lens with aperture sized at f/1.8, f/1.6 and f/2.4 respectively. 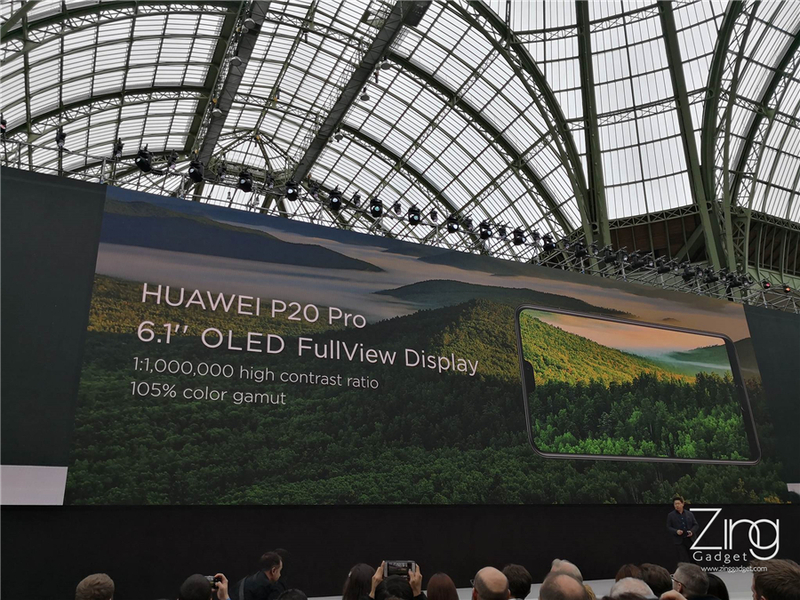 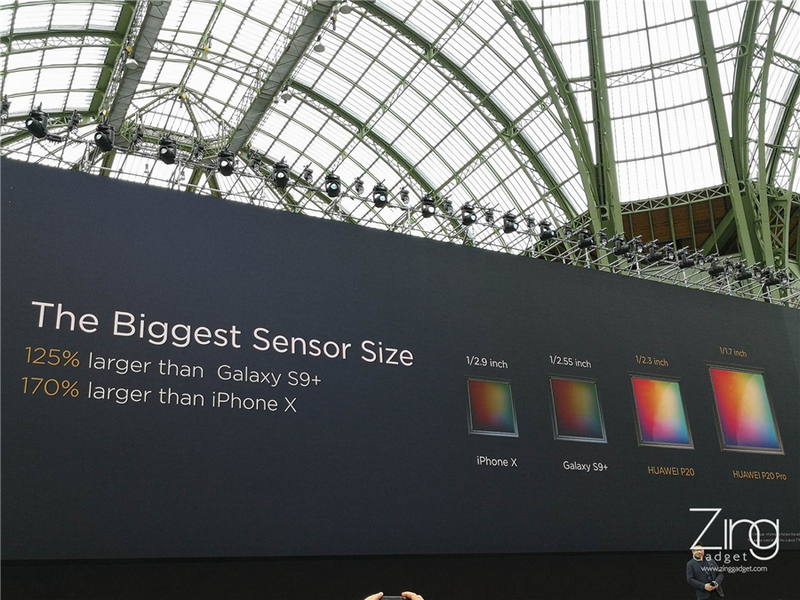 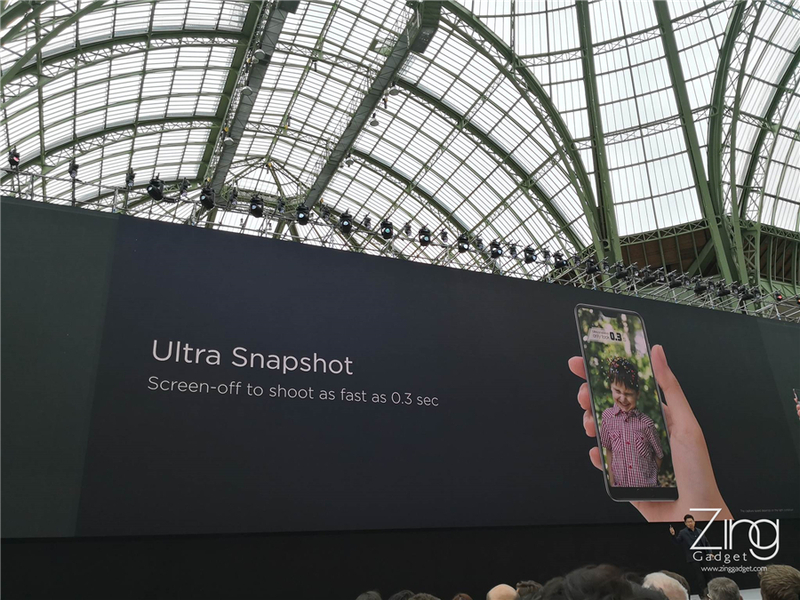 The Huawei P20 Pro has larger sensor size compared to Huawei P20, Samsung Galaxy S9+ and iPhone X.
Huawei P20 Pro also supports 4 in 1 hybrid shot, 4D motion focus and Ultra shot ultra fast capture in 0.3 seconds. 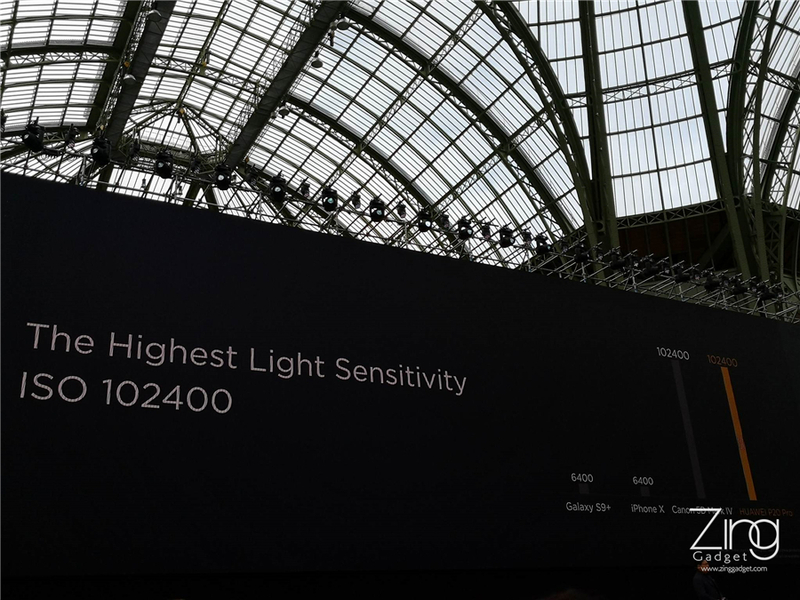 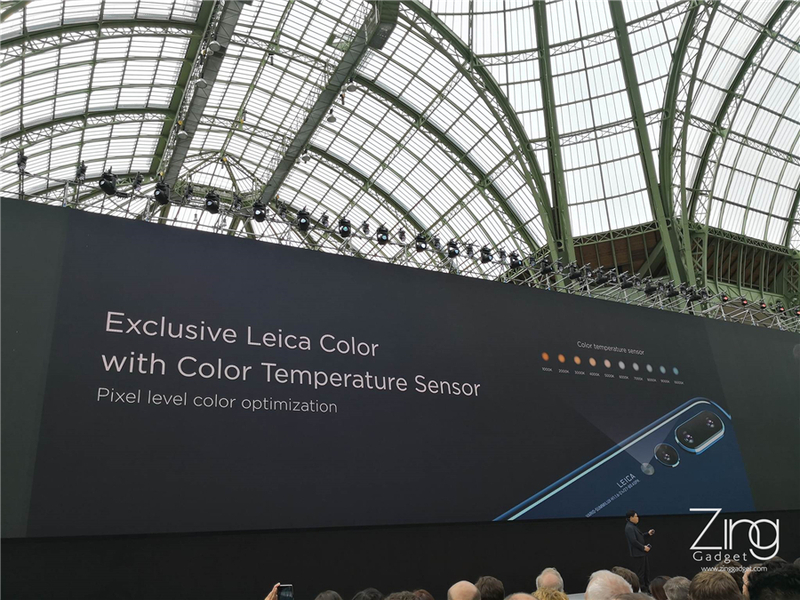 All Huawei P20 series will add a new LEICA certified colour temperature sensor for the detection of colour warmth in the surrounding environment. 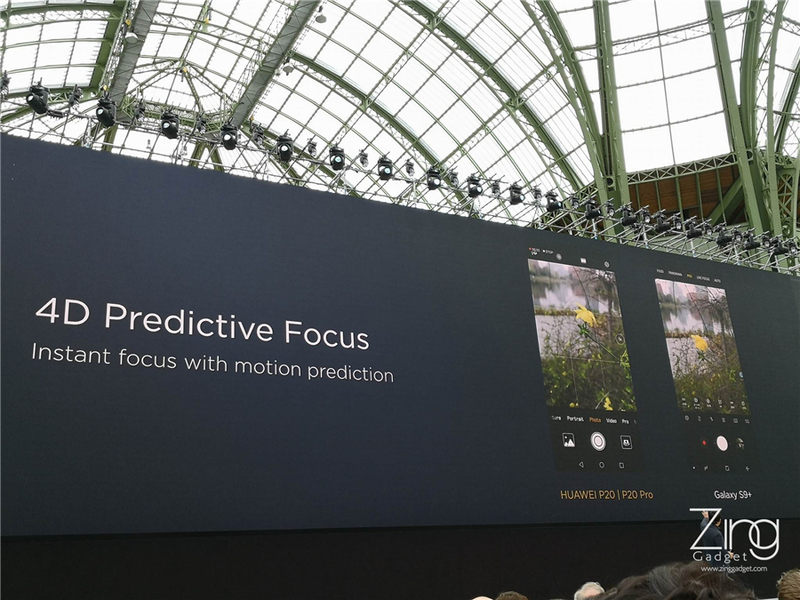 The new AI stabilization offers greater stability and clarity in photos when compared to the standard OIS in smartphones today. 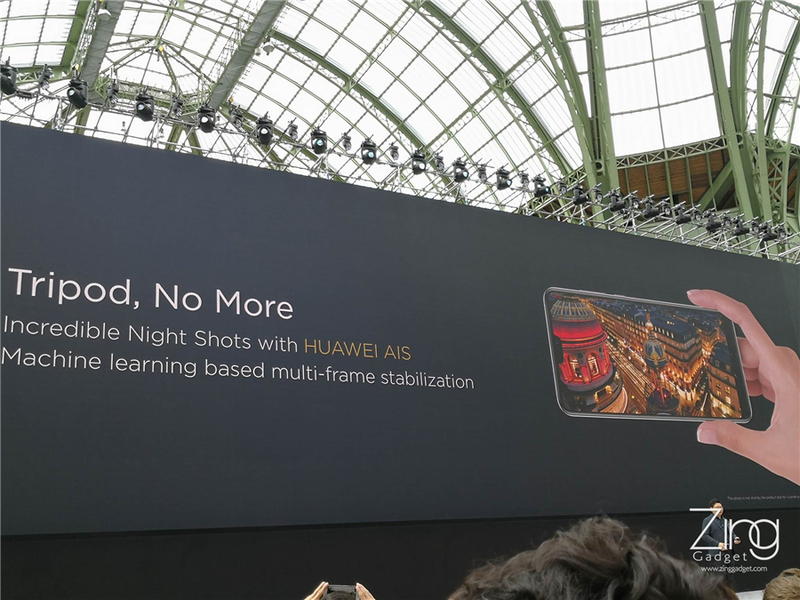 The night shot can be completed in just 6 seconds without the use of tripod thanks to the AIS technology in the camera. 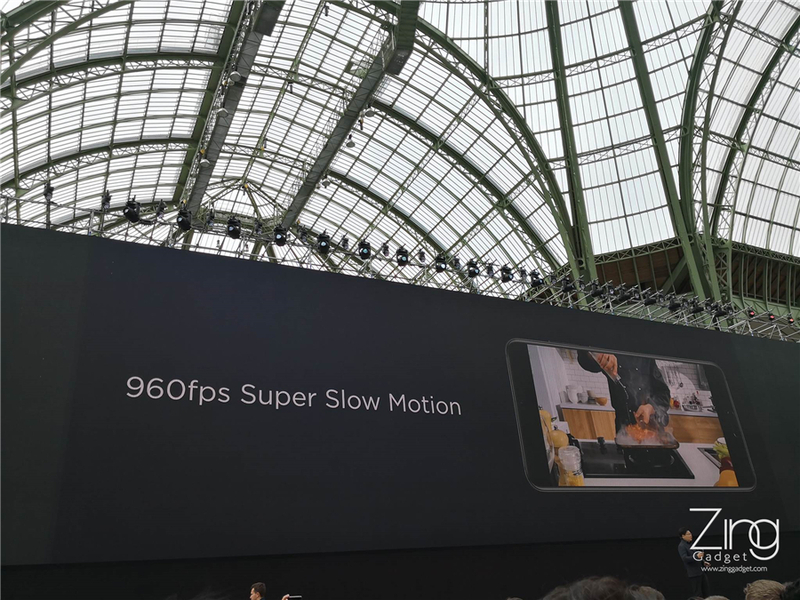 All P20 series is also added with 960 fps ultra slow mo video recording which can be playback in High Definition resolution. 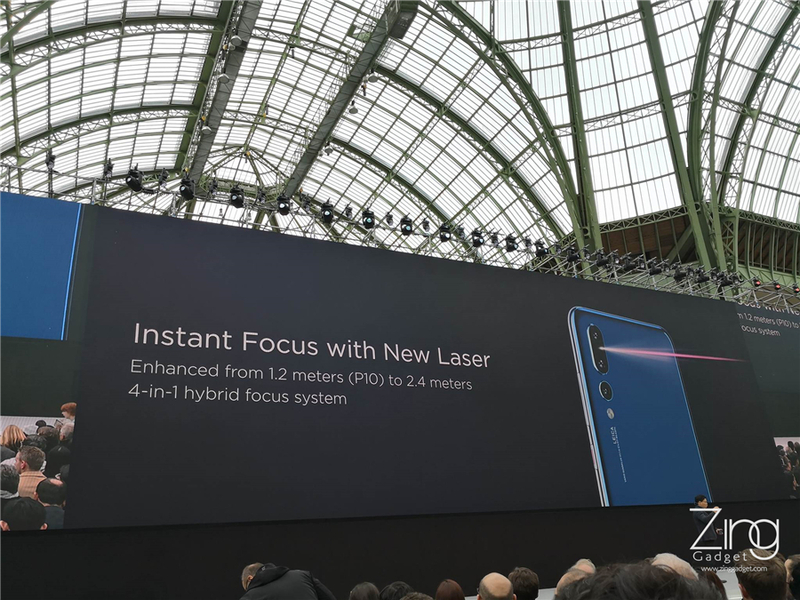 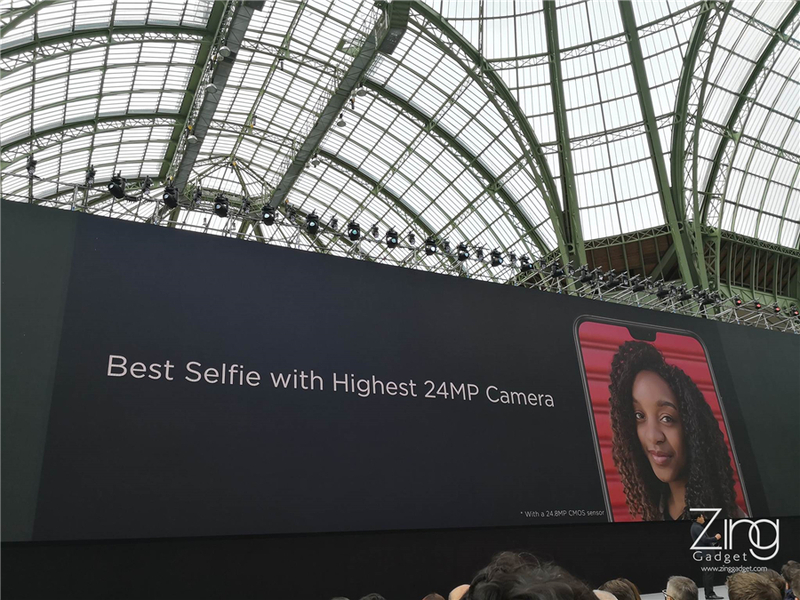 The front 24MP camera with f/2.0 aperture brings AI selfie beauty and 3D portrait lightning and allow users to customize the light level in selfie shots. 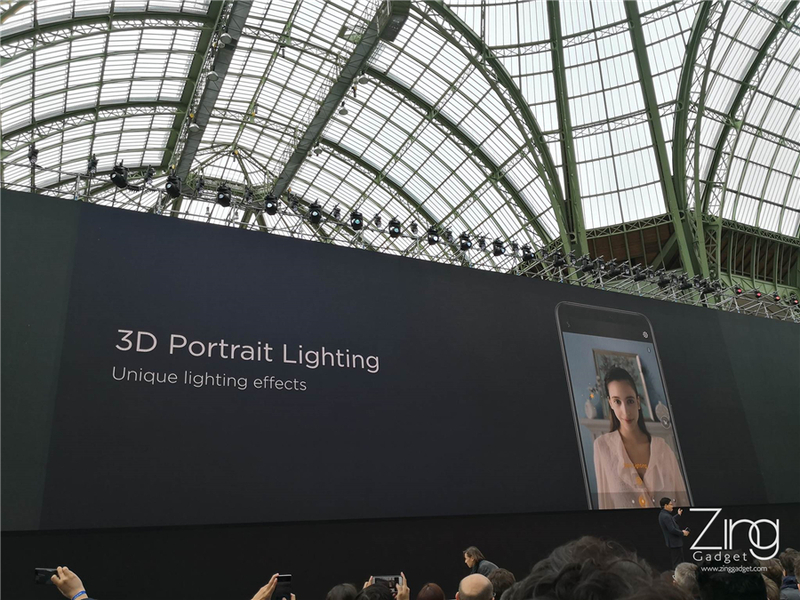 It also can recognizes face character in 360 degrees with various light intensity. 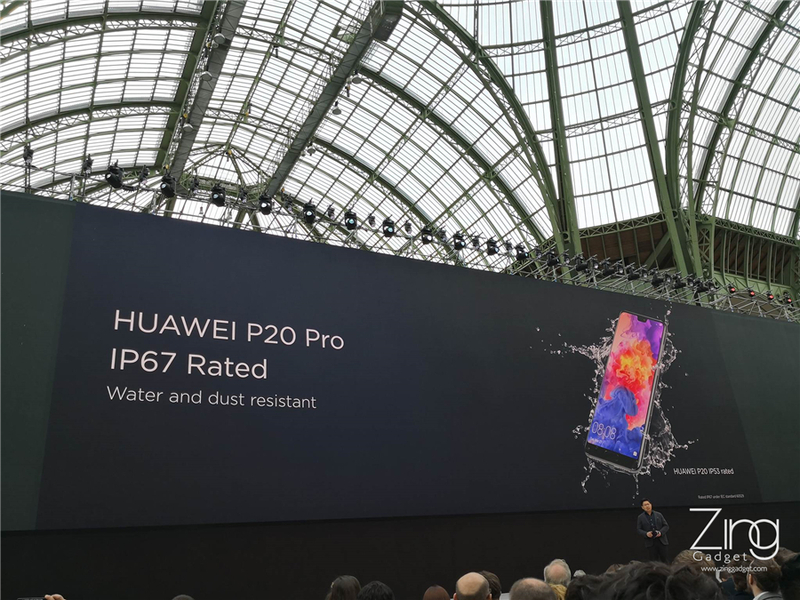 While the Huawei P20 Pro comes with IP67 water and dust resistant, the Huawei P20 is only rated at IP53 that is slightly resistant towards water splashes for lifestyle. 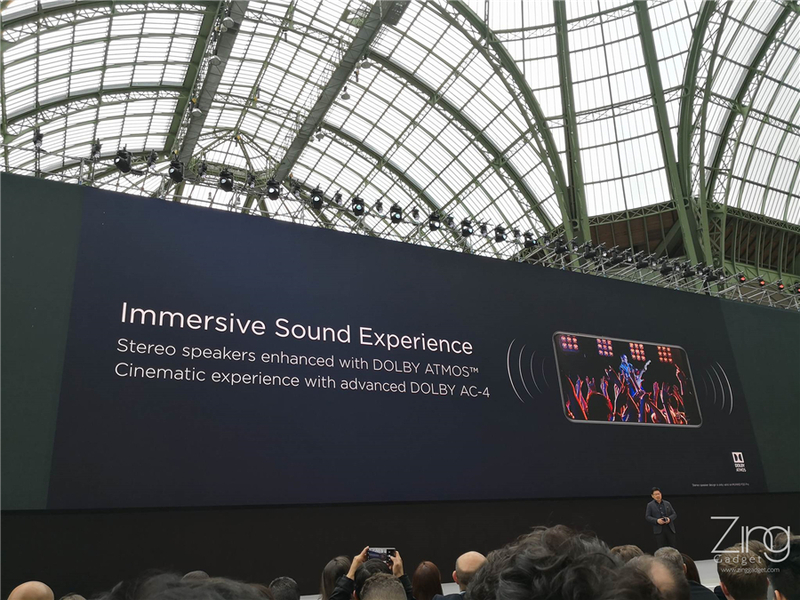 The Huawei P20 Pro also tipped in the Dolby Atmos technology that brings surreal audio experience to its user. 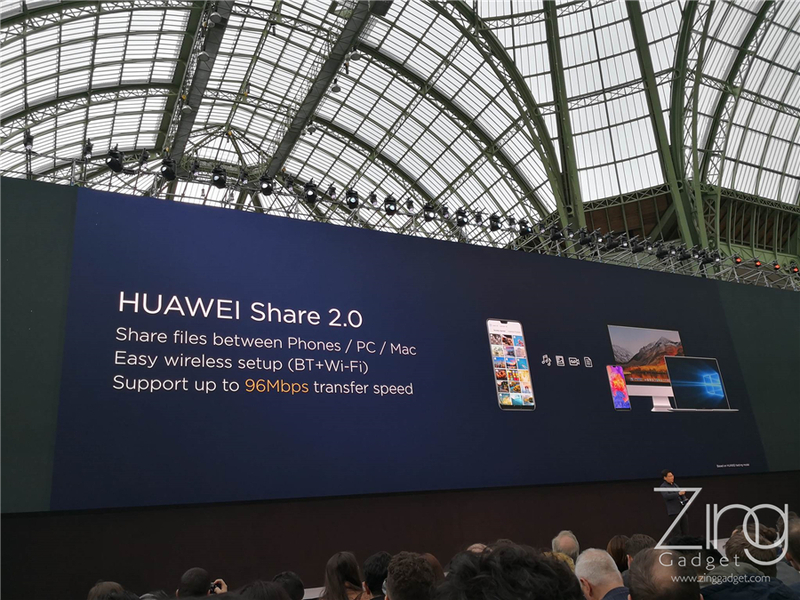 With the Huawei Share 2.0, it cancels out SD slot because the new technology brings better wireless data transfer when you clone your old Huawei smartphone into the new Huawei P20 or P20 Pro. 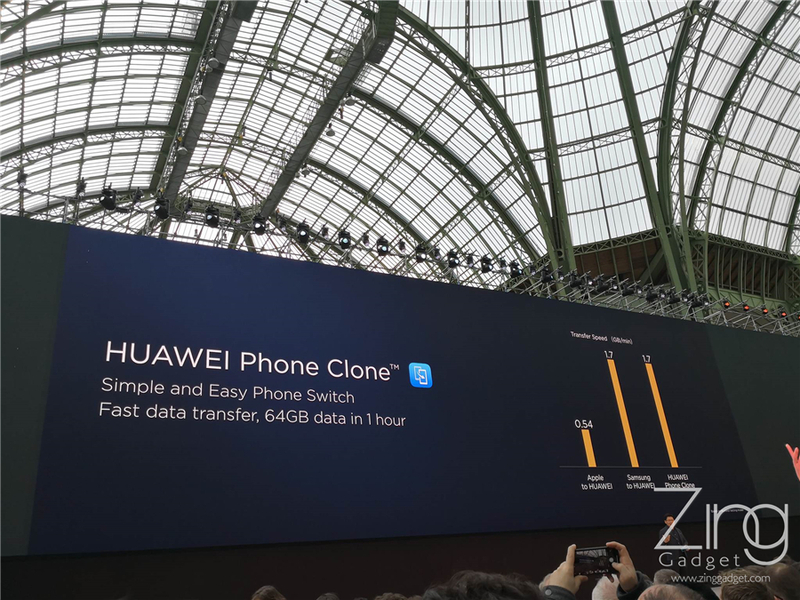 The Huawei Phone Clone can transfers 64GB of data in just 1 hour. 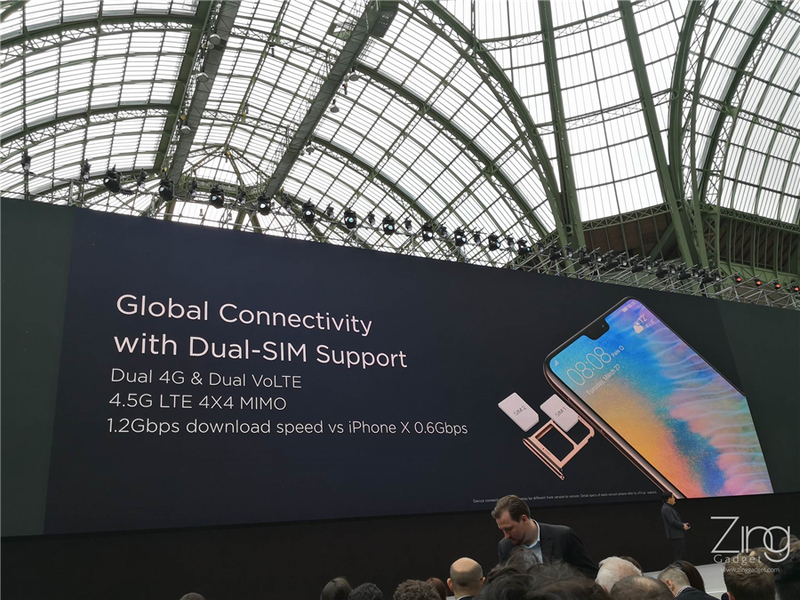 Apart from Dual SIM standby and 4G LTE, all Huawei P20 series also supports 4.5G LTE network with download speed up to 1.2Gbps. 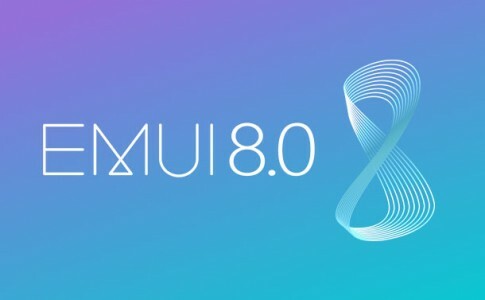 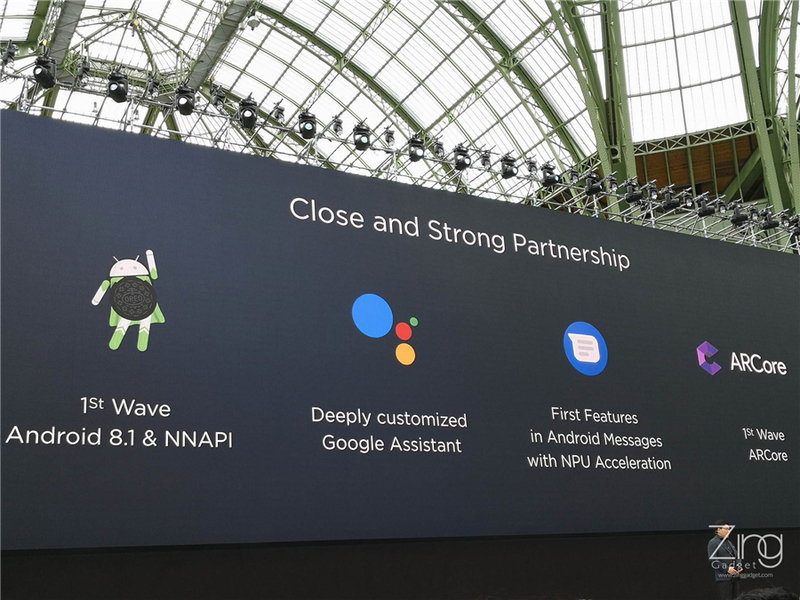 With their deep collaboration with Google, Huawei P20 also adds in better Google Assistant, AI Android Messages App and the first batch of smartphone capable to support the Google AR Core for a deeper AR experience. 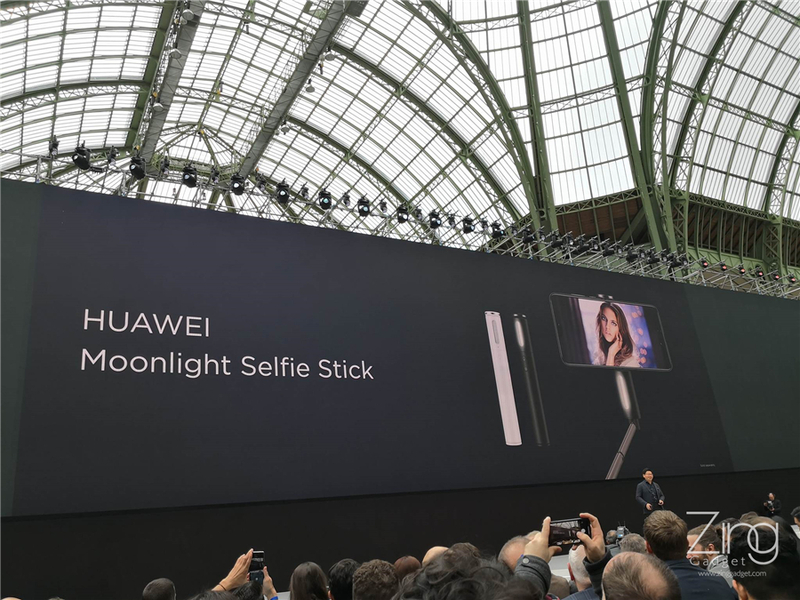 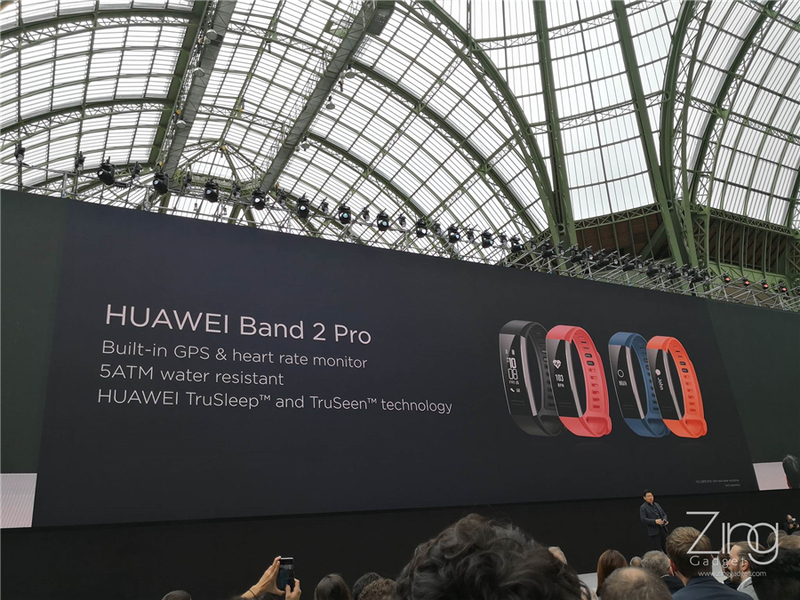 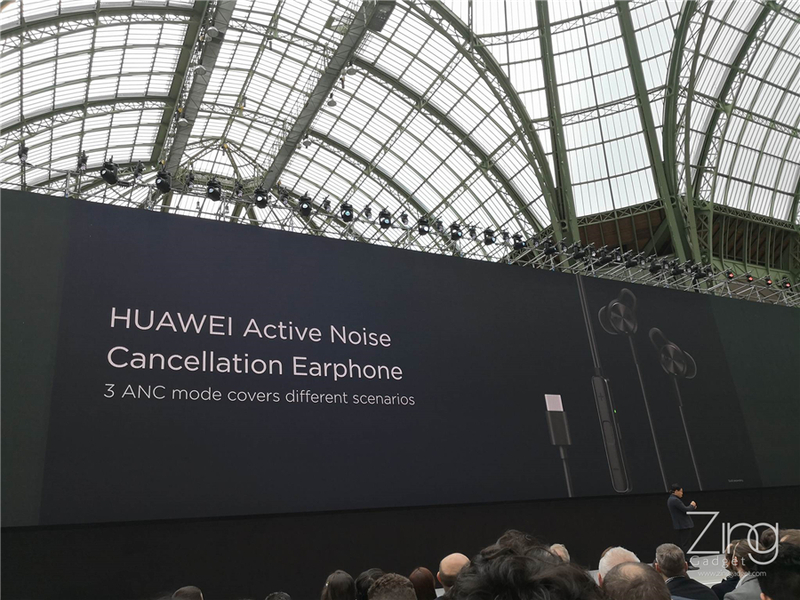 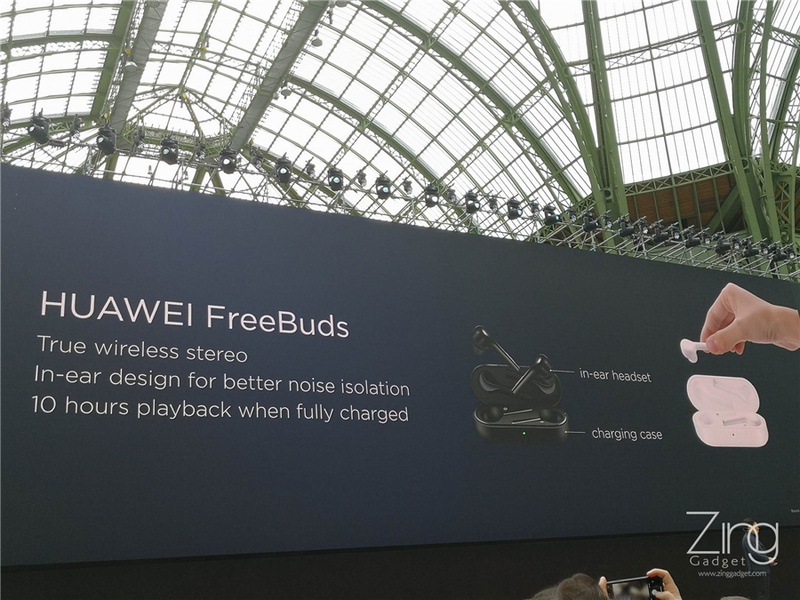 Along with the launch of Huawei P20 series, Huawei also brings out new gadgets such as the Huawei Freebuds Bluetooth earphone that has 10 hours of battery life, Huawei noise cancallation earphone and Huawei band 2 Pro and Moonlight selfie stick. 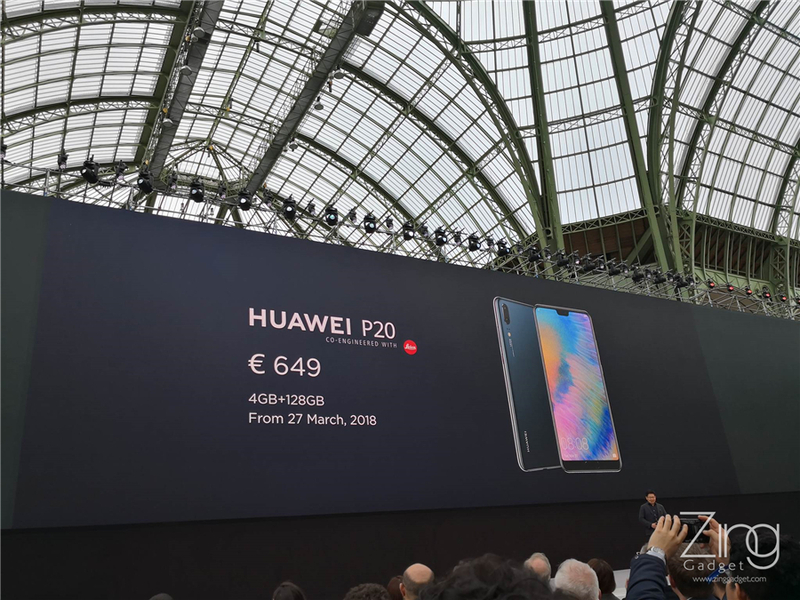 Lastly, the Huawei P20 is on sale at €649 which is roughly estimated around RM3114 while the P20 Pro is slightly higher at €899 (~RM4313). 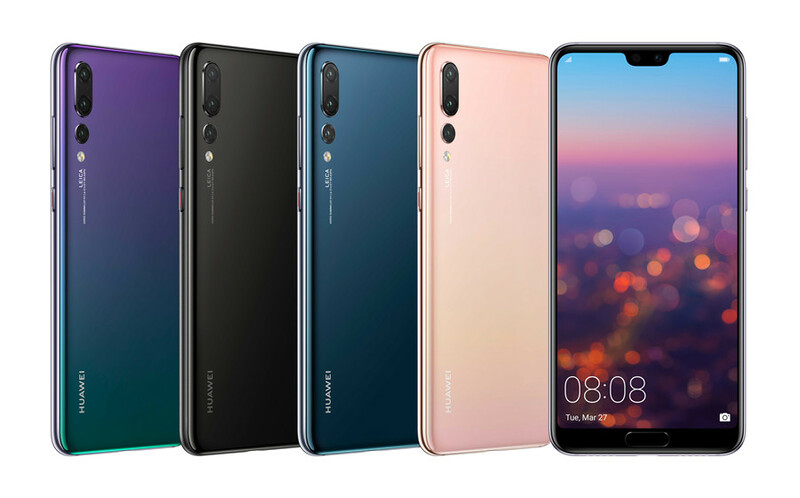 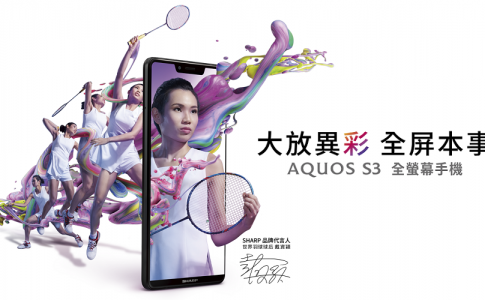 According to credible source, the Huawei P20 series will be launched in Malaysia by 3rd April this year and price is yet unknown. 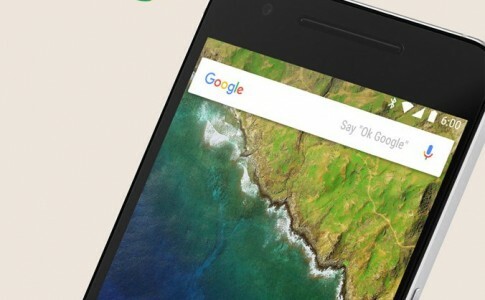 Nexus 6P price readjusted: Now at RM1899! 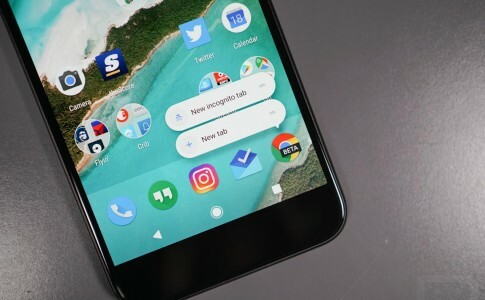 Google Android 7.1.1: Longer battery life, graphical keyboard & more!